They indicate your interests, preferences and style — communicating for you, so you attract the kind of attention you appreciate. They’re also there when you don’t feel like communicating at all, sending messages to potential engagers that today is just not the day. If you’re embracing your inner introvert, you need outerwear that’s both inoffensive and unwelcoming to make your point. We’ve compiled all the best hoodies that will send people packing so they don’t get too close for comfort. Slogan apparel is the quickest and most direct method to share your mood, but you have to make sure you’re getting it right. 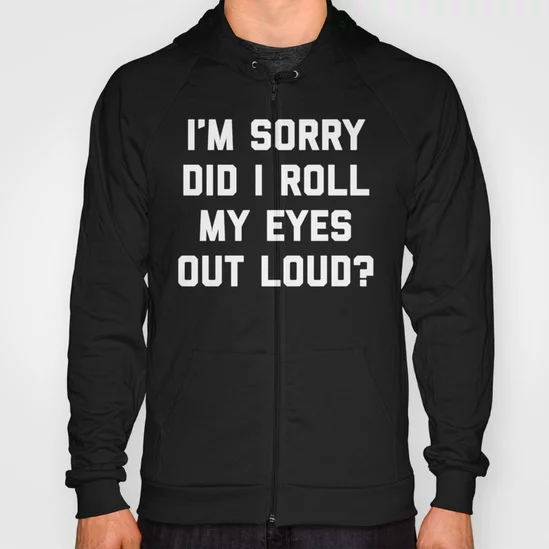 This “Sorry, did I roll my eyes out loud?” hoody immediately explains to its reader that, while you definitely have a sense of humor, you are not one to be messed with. In fact, they’re better off leaving you alone entirely. Naturally, this hoody only comes in a “walk away” black, which really hammers it home. Everyone knows food is one of the most-effective mood stabilizers, which means deprivation of sustenance can have a dangerous impact on pretty much everyone. 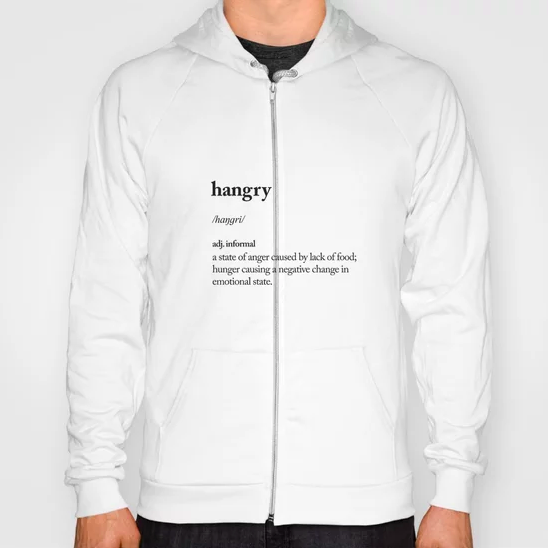 Even if you aren’t really “hangry” (hungry + angry or angry because you’re hungry), this hoody will still let everyone and their mother know that now is really not the time to poke the bear. Just don’t let anyone see you tucking into a burger, they might think the coast is clear to start a conversation. Monochromatic apparel, while always chic, does not have the same ‘come hither’-effect as some brighter-colored options. 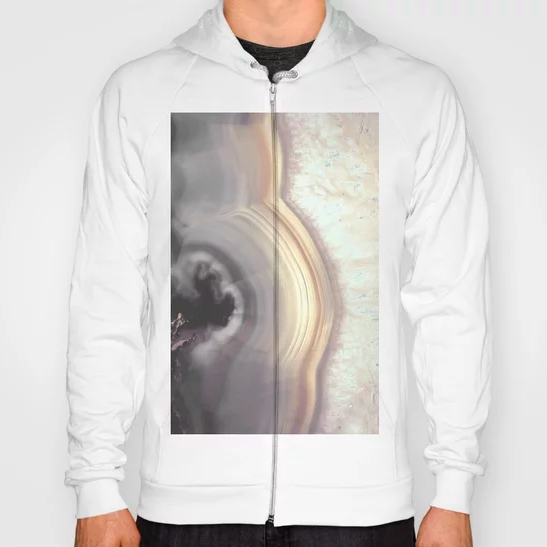 So if you’re looking to keep a low profile, but don’t want to sacrifice your love for fun prints and patterns, a subtle agate hoodie is the best choice. Considering this design is also only available on either a white or grey background, there’s no chance of this sweater making too much noise. No reptile is particularly cuddly, but the least amicable of the specifies might be the snake. 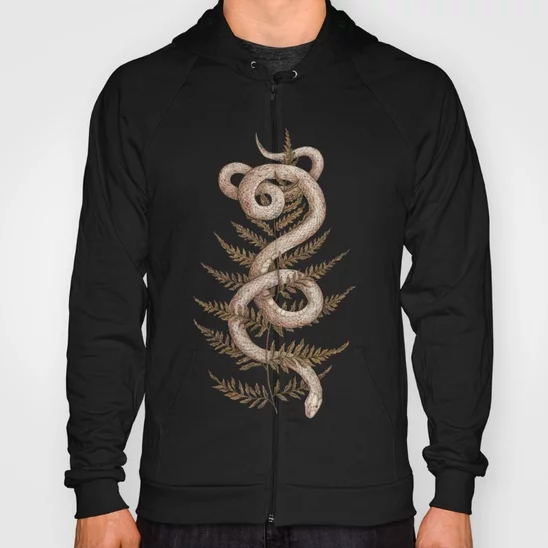 This hoody, starring a menacing coiled creature, lets any passing acquaintance know that you do not have the capacity to catch up this time. The style is also ideal for any rainy day goth phase you might have on the horizon, or if you’re just looking for something cozy to wear the next time you’re embracing indoor isolation. 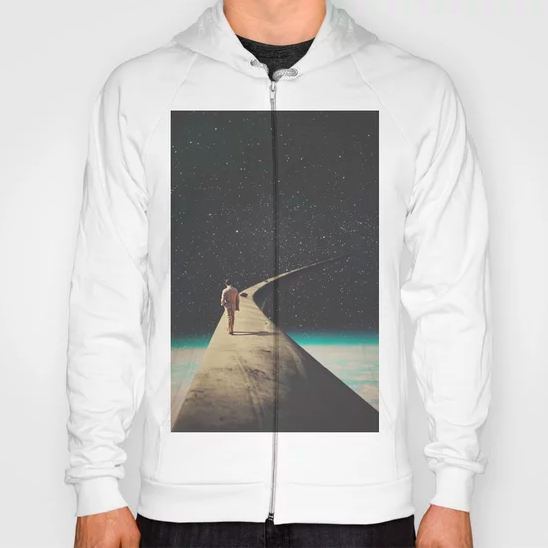 It’s difficult to simultaneously dissuade people from initiating contact and look stylish, but this Frank Moth collage hoody, featuring a man walking alone into a starry infinity, is one of the only options that delivers on both counts. Nothing says “please don’t speak to me” like an image of someone disappearing into nothingness, and anyone who attempts to chat will take one look at your hoody and get an idea of your self-imposed solitude pretty quickly. Plus, it’s pretty, and versatile enough to also be donned for a social occasion.